It is also known as F-9 Park, is a public recreational park situated within the F-9 sector. 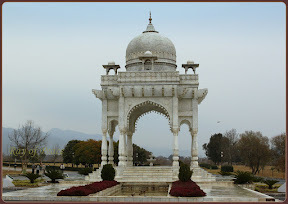 The park is one of the largest covered areas in Pakistan. It is named after Fatima Jinnah, the younger sister of Muhammad Ali Jinnah, the founder of Pakistan. The park's builder, Michael Japero, took five years to design it. June 7, 2015, 7:49 a.m.